We are pleased to announce our two sensational keynote speakers Prof. Dr. Ola Erstad and Prof. Dr. Isa Jahnke for the (In)Formal Learning Conference in March 2018 being held in Bochum, Germany. Ola Erstad is Professor at the Department of Education, University of Oslo, Norway. Prof. Erstad is a highly ranked researcher with a long-standing record of leading collective research efforts, and with an international impact within the field of ‘media/digital literacy’. He has published on issues of technology and education, especially on ‘media literacy’ and ‘digital competence’, and on formal and informal learning. 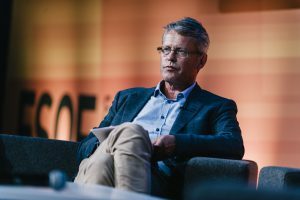 Erstad has been leading several large-scale research projects and research networks funded by the Norwegian Research Council, Nordforsk and the EU. He has been leader of a research group at the Faculty of Education, Oslo, called ‘TransAction-learning, knowing and identity in the information society’ and has been leading several research projects funded by the Norwegian Research Council. He has also been leader of a Nordic network of researchers on learning across contexts (NordLAC), as well as being involved in several international networks and projects. He has been elected as Chair for the Scientific Advisory Committee for Science Europe (2016-2018). Prof. Erstad is Vice-Chair for the COST Action of ‘The digital literacy and multimodal practices of young children’ (2015-2018). From 2012-2014 he was Scientific Director of NATED – National Graduate School in Educational Research (funded by the Norwegian Research Council). He has been visiting scholar/professor at the University of Southern-Denmark, University of Hong Kong, UC San Diego. Recent publications are „Identity, Community, and Learning Lives in the Digital Age“ (Erstad & Sefton-Green, 2012, Cambridge University Press) and „Digital Learning Lives“ (Erstad, 2013, Peter Lang). Prof. Dr. Isa Jahnke is Director of Research for the Information Experience Lab and Associate Professor of Information Science and Learning Technologies, University of Missouri-Columbia, USA. 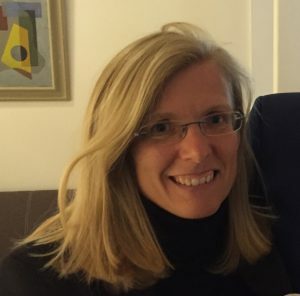 She was Professor for Interactive Media and Learning at the Department of Applied Educational Sciences, Umeå University, Sweden (2011-2015) and Assistant Professor at TU Dortmund, Center for Research on Higher Education (2008-2011). Funded projects include creativity in higher education “DaVinci” (BMBF, 2008-2011), Digital Didactical Designs (Swedish Research Council, 2014-2016) and Learning Expeditions at Mizzou “LexMizzou”, students as game designers for learning (Interdisciplinary Innovations Fund MU, 2016-2017). Prof. Jahnke has published more than 111 publications with a Google H-index of 21 and serves as reviewer for International journals and interdisciplinary conferences. She was General Conference Chair of the ACM Group conference in 2014, Florida/USA. Her expertise and research topics focus on human-centered design for learning, user experience studies, educational technology, and technology-enhanced designs for meaningful learning. Recent publications are „Digital Didactical Designs as Research Framework – iPad Integration in Nordic Schools“ (Jahnke, Bergström, Mårell-Olsson, Häll & Kumar, 2017, Elsevier) and „Informal Learning via Social Media“ (Jahnke, 2013, Dupress).